Eligibility: Unless otherwise indicated in Promotion-Specific Rules, Promotions are open for participation only by those listeners residing in the following counties of the Indiana service area, defined as St. Joseph, Elkhart, La Porte, Kosciusko, Marshal, Starke, Fulton, Pulaski counties in Indiana and Berrien, and the following counties of the Michigan service area Cass and St. Joseph. 1.1. Age Limitations. Unless otherwise expressly indicated in Promotion-Specific Rules, Promotions are only open to persons who are 18 years of age or older. In the event a minor qualifies and wins a Promotion (as may be permitted by Promotion-Specific Rules), then, in such case, the prize only may be awarded in the name of a parent or legal guardian, and only when specifically approved by SML’s management. 1.2. Patrons are Excluded from Participation. Promotions are NOT open to SML or Station employees, current and previous, subsidiaries or agents, employees of co-sponsoring participants in various Promotions, employee's and co-sponsors’ immediate families, employee's and co-sponsors’ household members, prior SML or sponsor employees, and all other radio broadcast, television, electronic or print industry employees. (SML, any Station or Stations and the Promotion-participating advertisers hereafter are collectively referred to as “Patrons”). Notwithstanding the foregoing, former SML and Station employees will be eligible to participate in Promotions so long as they have not been employed by, or within the employment of, SML or any of the Stations for at least twelve (12) calendar months prior to the commencement of any Promotion. 2. How to Enter/Compete. No Purchase is Necessary. Entrants in any Promotion will be required to register with the Promotion-participating Station (the “Promotion Station”). Depending upon the Promotion-Specific Rules, the registration may be merely by (i) calling the Promotion Station at a designated time; or (ii) being a specifically numbered caller (e.g., the 5th) to the Promotion Station during a designated time period; or (iii) mailing or submitting an entry form to the Promotion Station or a Promotion Station’s advertiser; or (iv) registering on-line at the Promotion Station’s website, or (v) personally appearing at a Promotion venue or at the Promotion Station. Each Promotion will have an official commencement date and an ending time (the “End Time”). The period between the commencement date and the End Time shall be referred to as the “Promotion Period.” Certain Promotions may require registration by a date certain, and in such cases registration for any such Promotion must be accomplished and all necessary submissions called for by the Promotion-Specific Rules must be fully received by SML by the specifically designated time for the delivery of entry forms (the “Entry End Time”). If the completion of a registration-type entry is required for any Promotion, then all entries must be received by the Patrons, as applicable, by the Entry End Time. 3.2. Judging: SML, at its discretion, may designate judges for any Promotion based upon the skill of the entrants. In the absence of a specifically-name judge or judges for any Promotion, then SML’s Program Director and/or Manager at the Promotion Station will serve as the Promotion’s judge(s). For Promotions requiring judges, the judges shall will determine the winner(s). All decisions made by the designated judges are final. 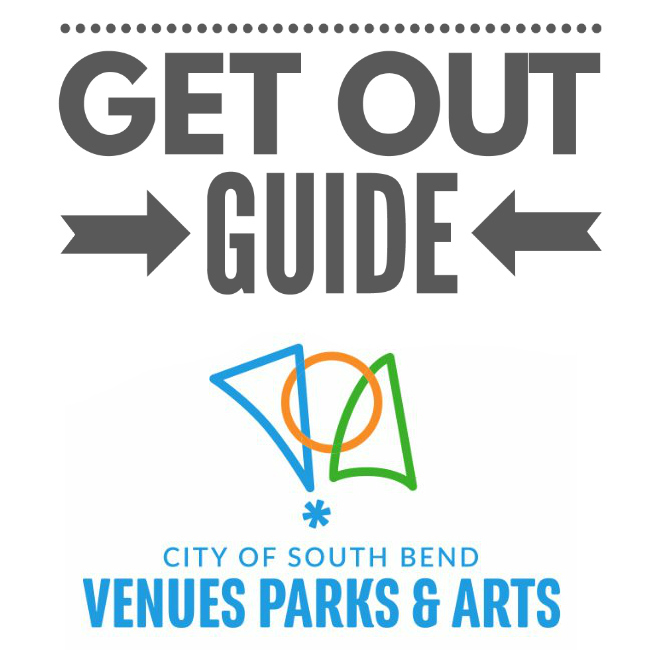 By participating in any Promotion the participants agree to be bound by all Official Rules and the decisions of the judges. Judges and SML reserve the right to disqualify any entry that, in their sole opinion, refers, depicts or in any way reflects negatively upon SML, any of SML’s sponsors, the Promotion or any other person or entity. 3.3. Final Decisions. All decisions of SML are final and binding on all matters relating to the Promotions. 4.1. Travel Prizes: Any travel that may be awarded as a prize or prizes in any Promotion shall include, unless otherwise expressly provided in the Official Rules, round-trip transportation for the winner and, if necessary, hotel accommodations (single or double occupancy, at SML’s discretion). Unless otherwise expressly provided by the Promotion-Specific Rules, in the event a winner is a minor, then a parent or legal guardian of minor (at the personal expense of the parent or legal guardian), will be required to accompany the winner (a minor) on the trip. Any winner (and her/his traveling companion if a companion is permitted by the Promotion-Specific Rules) will be responsible for all incidental expenses while traveling (e.g., meals, insurance, incidentals, gratuities, souvenirs, ground transportation, etc. ), except as expressly described in the Official Rules, and for any other expenses not specifically stated in the Official Rules. Any winner and her/his traveling companion (if permitted) will be required to travel together on the same itinerary. Trip value may vary depending on point of departure, fluctuations in transportation fares, and whether parent/legal guardian accompanies a minor on trip. Any difference between stated value and actual value of any Promotion-provided transportation will not be awarded. Travel accommodations and arrangements are at the discretion of SML. The values stated for any Promotion-related transportation will be based on information supplied to SML by third-party vendors within 30 Business Days of the start of a Promotion unless otherwise specified. For the purpose of the Official Rules, the term “Business Day” or “Business Days” means days on which federally chartered banks in Indianapolis, Indiana, are open for business. 4.2 Concert Tickets. When a prize or prizes consist of admission to a concert or ticketed event and such event is postponed, rained out or cancelled, the Patrons shall NOT be responsible for replacing the prize or substituting another prize (whether comparable or not) for it. 4.3 Prize Mailings. Certain prizes may be mailed to winners at the discretion of SML with no prior arrangements or approval. No date-sensitive prizes, weighed prizes or cash value prizes will be mailed. SML shall not responsible for any items lost in the mail. 5.1. Proof of Identity. Valid state identification (e.g. driver's license/ID card) is required to claim any prize or participate in any Promotion. When claiming prizes, putative winners will be required to show proof of identity and may be required to execute and deliver the Releases. Failure to provide valid identification and execute and deliver the Releases within ten (10) Business Days of the announcement and declaration by SML of the winner shall result in winner's disqualification and an alternate winner being selected. 6. Agreement to Official Rules: Participation in any Promotion constitutes your full and unconditional agreement to and acceptance of these General Rules, the Promotion-Specific Rules, and all decisions of SML, which are final and binding. Participation in any Promotion and winning a prize in any Promotion is contingent upon fulfilling all requirements set forth in these Official Rules. 6.1. Construction of Official Rules. The Official Rules cannot be modified or amended in any way except in a written document issued by a duly authorized representative of SML. The invalidity or unenforceability of any provision of these rules shall not affect the validity or enforceability of any other provision. In the event that any provision is determined to be invalid or otherwise unenforceable or illegal, these rules shall otherwise remain in effect and shall be construed in accordance with their terms as if the invalid or illegal provision were not contained herein. The headings of the paragraphs in the Official Rules are for the convenience of reference only, and do not form a part hereof, and in no way define, limit, describe, modify, interpret or construe the meanings of SML, the scope of the Official Rules, or the intent of any paragraph hereof. SML’s failure to enforce any term of these Official Rules shall not constitute a waiver of that provision. SML is not responsible for any electronic or typographical error in the printing or reproduction of the Official Rules, administration of any Promotion or the announcement of any the prizes or winners. 6.3. Entries Become SML’s Property. Unless otherwise specified in the Official Rules, all entries become the sole property of SML and will not be returned or acknowledged. 7. Promotion Conditions/Restrictions. Any and all applicable federal, state, and local taxes and all fees and expenses related to acceptance and/or use of the prize not specifically stated in the Official Rules are the sole responsibility of the winners of Promotions. All winners (you) must pay any expenses in order to participate in the Promotion or use the prizes. SML will not replace any lost or stolen (a) prize or (b) merchandise acquired with the prize vouchers that may be awarded in connection with any Promotion. SML is not responsible for the winner’s use of any prize after it has been delivered to the prize winner. Any entry registration that is altered or tampered with, or accessed through irregular channels or means shall be void. Incomplete, illegible, corrupted, or untimely entries are void and will be disqualified. Each entry must be submitted by the person identified as the entrant. 7.1. Errors, Malfunctions, Etc. / Fraud / Tampering. Neither SML, nor any of the Stations, nor any of the Stations’ advertisers are not responsible for lost, late, incomplete, damaged, misdirected, or postage-due/mail or entries; or miscommunications, telephone system or equipment failures, telephone line or technical problems, misdialing, or other errors or malfunctions of any kind whatsoever whether, human, mechanical, electrical, electronic or otherwise. Any attempt by a contestant or any other individual to deliberately damage any website involving the a Promotion or to undermine the legitimate operation of a Promotion is a violation of criminal and/or civil laws and should such an attempt be made, SML reserves the right to seek damages and other remedies from any such person to the fullest extent permitted by law. 7.3. Tax Forms. SML and/or the Patrons will issue a 1099 tax form for all prizes valued at $600.00 or more, including multiple cash prizes to the same winner adding up to $600.00 or more over the course of a given year. By claiming prize(s), the winner claiming the prize agrees to accept the estimate of fair market value placed on prize(s) by SML and/or the Patrons. 8. Disqualification. SML reserves the right to disqualify any contestant at any time as determined in SML’s sole discretion, should such person at any stage of any Promotion: (a) fail to comply with the Official Rules; (b) supply any untruthful, inaccurate or misleading personal details and information; (c) refuse or fail to provide proof of identity and/or eligibility if requested by SML at any time; (d) use any means to gain an unfair advantage over any other contestant; (e) engage in unlawful conduct or misconduct, including without limitation, harming or threatening to harm any other contestant, SML, the Patrons’ personnel, exercising violent behavior, or potential or actual cheating; or (f) purposely impeding the work of the Patrons, and/or the implementation of any Promotion. The disqualification of any contestant shall be final and not subject to appeal or review for any reason whatsoever. 9. Termination Provisions. Except as prohibited by law, SML reserves the right to terminate any Promotion in the event of a force majeure or other failures or material difficulties. If, for any reason, a Promotion is not capable of running as planned, including tampering, unauthorized intervention, fraud, technical failures, or any other causes beyond the control of the Patrons, which corrupt or affect the operation, administration, security, fairness, integrity, or proper conduct of the Promotion, SML may, in its sole discretion, (i) void any suspect entry or (ii) suspend the Promotion to address the impairment and then resume the Promotion in a manner that best conforms to the spirit of the Official Rules; and (iii) award the prize at random, by a drawing, from among the eligible, non-suspect entries received up to the time of the impairment. Except as prohibited by law, SML reserves the right to suspend or modify a Promotion at any time without notice or obligation. If such modification or suspension occurs, the Patrons will make a commercially reasonable effort to post notice of such on the Promotion Station’s website and on-air. 9.1. Dates, Deadlines, Number of Contestants. Due to the unique nature and scope of many Promotions conduct by SML, the Promoters reserve the right, in addition to those other rights reserved herein, to modify any date(s) or deadline(s) set forth in the Official Rules. The Patrons are not able to accurately predict the number of entrants that will participate in any Promotion. 10. Arbitration Provision. By participating in a Promotion, each Promotion participant agrees that any claim, dispute, or controversy (whether in contract, tort, otherwise) that it may have with, or claims it may have against, SML or the Patrons arising out of, relating to, or connected in any way with the Promotion, the awarding or redemption of the prize(s), or the determination of the scope or applicability of this agreement to arbitrate, shall be resolved exclusively by private, final and binding arbitration administered by the National Arbitration Forum (“Forum”) and conducted before a sole arbitrator pursuant to the Forum’s Code of Procedure. Further, each Promotion participant agrees that: (a) This arbitration agreement is made pursuant to and shall be governed by the Federal Arbitration Act (“FAA”), 9 U.S.C. 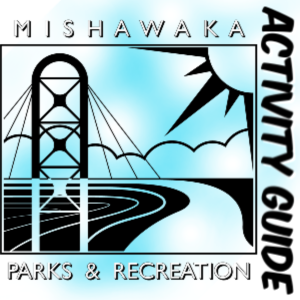 §§ 1-16; (b) the arbitration shall be held in St. Joseph or Marion Counties, State of Indiana, or at such other location as may be mutually agreed by the Promotion participant and SML; (c) the arbitrator’s decision shall be controlled by the terms and conditions of the applicable Official Rules and any of the other agreements referenced herein that the applicable Promotion participant may have entered into in connection with the Promotion; (d) the arbitrator shall apply Indiana law consistent with the FAA and applicable statutes of limitations, and shall honor claims of privilege recognized at law; (e) there shall be no authority for any claims to be arbitrated on a class or representative basis; arbitration can decide only the Promotion participant’s and/or Patrons’ individual claims and the arbitrator may not consolidate nor join the claims of other persons or parties who may be similarly situated; and (f) the arbitrator shall not have the power to award punitive damages against the Promotion participant or the Patrons. Moreover, if any part of this arbitration provision is deemed to be invalid, unenforceable or illegal, or otherwise conflicts with the Code of Procedure established by the Forum, the balance of this arbitration provision shall remain in effect and shall be construed in accordance with its terms as if the invalid, unenforceable, illegal or conflicting provision were not contained herein. For more information on the Forum and/or the Forum’s Code of Procedure, please visit its website at www.arb-forum.com or contact the Forum at National Arbitration Forum, P.O. Box 50191, Minneapolis, MN 55405, 877-655-7755. 15. Winner’s Disclosure. For the names of the winners, available at the conclusion of the Promotion, visit the Promotion Station to obtain the name of the Promotion Winner after the Promotion has been completed or send a self-addressed, stamped envelope marked “Winner” to: Contest Rules, 3371 Cleveland Road Suite 300, South Bend, IN 46628, or by contacting the Promotion station, as listed on Attachment No. 1 by no later than six months after the Promotion’s designated End Time. 16. Sponsor. The administrator and sponsor of the Stations’ Promotions is Sound Management, LLC, 5520 East 75th Street, Indianapolis, IN 46250, and often a cooperating advertiser or advertisers on a Promotion Station. The additional sponsoring parties for any Promotion are identified on the Promotion-Specific Rules for a Promotion. Copyright ©2019 Sound Management, LLC All rights reserved. Odds of Winning: Odds of winning/qualifying are indeterminable but are based on the number of people listening and the number of people who try to qualify each day during the event. Once Qualified, the odds of winning are no worse than 1 in 15 to win the $500.00 weekly prize. Registration Procedures: During the Promotion dates, Monday – Friday those who wish to participate will listen to 92.9 FM between the hours of 8:00 AM and 7:00PM for the Cue to Call. Once the Cue to Call is played, the phones will be cleared and those that wish to participate will be encouraged to call 574-289-9393. Calls will be taken in order and the 9th caller will qualify and win $50.00 and be eligible for that week’s grand prize of $500.00. There will be 3 qualifiers each day for a total of 15 per week. That week’s 15 qualifiers names will be put in a hat and at the end of the week, one name will be drawn out to win that weeks $500.00 prize. 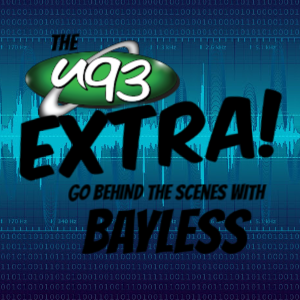 Hints about the approximate time of each days qualifying contests throughout the day on U93. No more than one grand prize will be given away each week. Odds of Winning: Odds of winning/qualifying are indeterminable but are based on the number of people listening and the number of people who try to qualify by signing up for the listener club in addition to the pre-existing number of listeners in the listening club. A total of 17 pairs of tickets are available to win during the promotion. NOTE: There is no guarantee that all 17 pairs will be claimed. Unclaimed tickets will be used in later on-air giveaways at the station’s discretion. 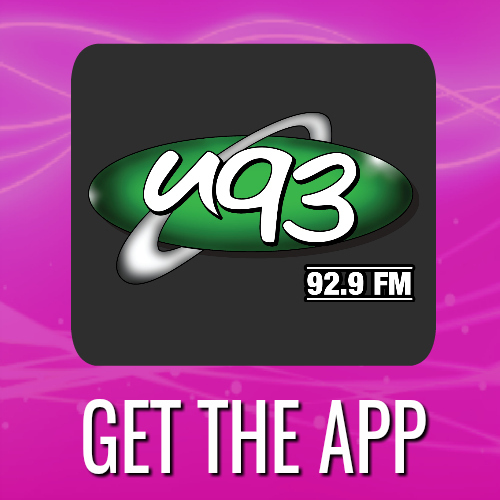 Registration Procedures: Starting 4.8.19, listeners will be told to sign up for the U93 Listeners Club for their chance to win Pitbull tickets before they go on sale. Those who wish to participate will be directed to facebook.com and told to follow the U93 facebook page to automatically qualify for the event. 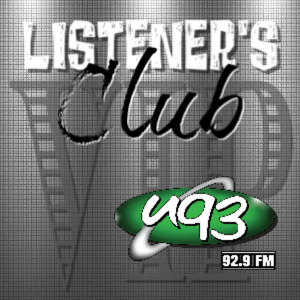 Starting at 5:30 AM on 4.9.19, DJ’s will read randomly drawn names from the U93 Listeners Club. 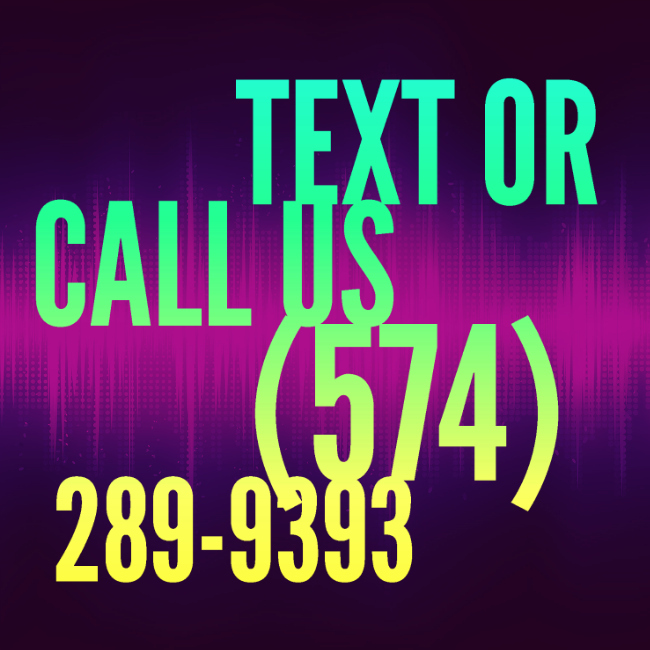 Once a name is read on the air, that person will have 9 minutes and 30 seconds to call in to 574-289-9393 to win that event. If the named person does not call into the studio prior to the 9 minutes and 30 seconds, that event is over, and the pair of tickets associated with that event are released back to U93. A total of 16 names will be read throughout the day on 4.9.19 giving Listener Club Members up to 16 chances to win a pair of tickets if their name is called. Tickets that are not won will not be re-entered into the contest. Tickets that are not claimed within 30 days will become the property of the station and winner will release all claim to those tickets. Odds of Winning: Odds of qualifying are indeterminable but based on the number of people listening and participating in each qualifying event and the ability of the participant to correctly answer a specific question. Odds of winning each event once qualified are no worse than 1 in 25. Registration Procedures: listen to 97.7FM each weekday during the contest between the hours of 10:00 am and 3:00 pm. Each hour, one qualifying event will take place each weekday of the promotion. 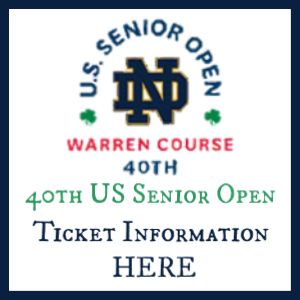 Each qualifying event will result in 1 people being qualified for that day’s ticket giveaway. Each qualifying event will start with Lindsey announcing the Sonic Temple Artist of the Hour. 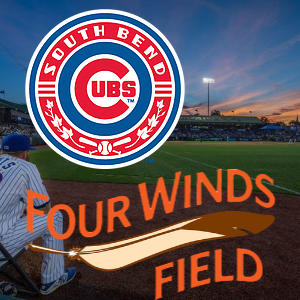 Sometime within that hour, Lindsey will play the cue to call and listeners who wish to participate will call 574-247-2192. Caller number 9 will be given a chance to name that hours Sonic Temple Artist of the Hour. If they get it correct, the qualifying event is over. If the participant cannot tell Lindsey the Artist of the Hour, that qualifying contest is over without a qualifier. At the end day, one of the names of that day’s qualifiers will be drawn at random and that qualifier will win a pair of Stone Temple Music Festival Tickets worth approximate $399.00. There will be only one winner of Tickets per day.